Now every dog lover can proudly show off their prized family member on an attractive Dog Photo Front License Plate. 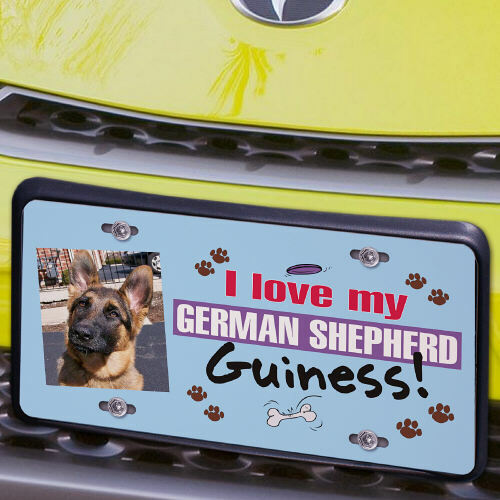 Personalize your dog photo license plate with any name, dog breed and your favorite digital photo of your pet. Upload your favorite digital photo below. Please don't send any photos in the mail, digital photos only. Recommended pixel resolution (dpi) is at least 500 x 500. I loved it. For my daughter first car; a picture of her puppy, came out great!! Love it. Bought two more for friends.